The Grand Lisboa Hotel is huge in terms of both the facilities it offers as well as its size. It covers a total of five floors. 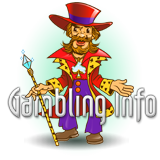 Of the 240 table games at the casino, some of the most popular ones you will find are tables for Baccarat, Roulette, Caribbean Stud, Fan Tan, Three Card Baccarat and a huge array of video slot machines that total to about 500. The Grand Lisboa Hotel Casino opened up in February 2007 while the hotel started in 2008. The casino opened with a lot of gala and grandeur that had acrobats performing some great stunts and a splendid display of fireworks. The hotel is a 52 floor tower shaped like a lotus leaf. Two spotlights are affixed on the top that light up the Macau skyline. The total value of Grand Lisboa when it was finally constructed is estimated to be US$384M. 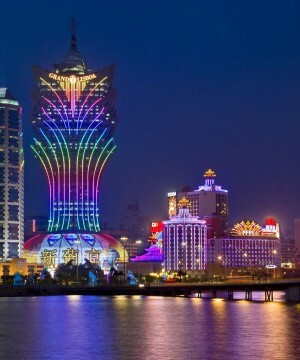 Grand Lisboa is located in the middle of downtown Macau's casino district. Adjacent to it you can find the popular Hotel Lisboa and a group of smaller casino joints. The bigger fanciful casinos like Wynn Macau and MGM Grand are also close to the Grand Lisboa. An interesting thing to look out for at Grand Lisboa are the light shows they have. They are beyond anything one can imagine. Grand Lisboa has a fine selection of restaurants for the diners. This includes the Don Alfonso 1890 restaurant, which serves Italian food, a Crystal Lounge for Deli, and many other eating joints. The plaza outside the Grand Lisboa Hotel is a WiFi hotspot. You will find a number of people with their laptops and cell phones enjoying this service.